Do you have a lot of.avi videos, while some videos cannot be played on your device? So, if you're looking for a player that can play any AVI video, HD Video Converter Factory Pro is worth a try. With whatever codec your video file is encoded under the Audio Video Interleave container, this recommended AVI player is a good option to play .avi videos easily. HD Video Converter Factory Pro is a comprehensive multimedia player for Windows PC users, which plays all kinds of videos including AVI, MP4, ASF, WMV, AVS and FLV, etc. Besides, you can convert your AVI video to any other video formats at ease. Why AVI Videos Won’t Play on My Devices? AVI is called Audio Video Interleaved, the so-called "audio video interleaved" is the ability to interlace video and audio for synchronized playback. The advantage of AVI format is that its image quality is good and can be used across multiple platforms. But, the disadvantage is that its volume is too large, and even worse is that the compression standard is not uniform. 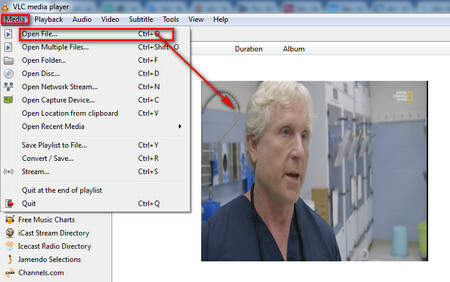 The most common phenomenon is that high-level Windows Media Player cannot play AVI videos that were edited using early coding, while low-level Windows media player cannot play AVI videos that were edited using the latest encoding. 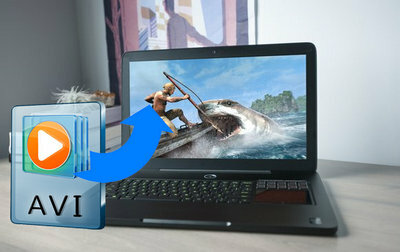 Therefore, when we perform some AVI format video playback, the video cannot be played due to video codec problems or even if the video can be played, but there are some inexplicable problems such as the inability to adjust the playback progress and the playback of only sound without images. In such case, to solve AVI file playback error on PC, you need to use a powerful third party AVI player to play AVI files. Free downloadFree download recommended AVI file player to start your AVI video playback. Free downloadFree download AVI media player and install it on your PC. And then click “Add Files” to load your AVI videos into the program, of course, directly drag-and-drop AVI files is also allowed. The loaded AVI video will then be displayed in the thumbnail as shown in the screen capture. If you move your mouse over the video, you will see a Play icon in the middle. Click the Play icon, and the imported AVI video will be played immediately. We must be familiar with VLC. With amazing adaptability to different operating systems like Windows, Mac OS, Linux, iOS, etc, it is a popular choice for video playback. VLC is a very suitable AVI video player because it doesn’t require separate codec packs to be installed: it comes with everything you need to play AVI videos, or play MKV videos, play MOV videos, MP4, WMV, MPEG-2 and more, and can also stream video from the web. Step 1: If you haven't installed VLC player yet, please go to https://www.videolan.org/vlc/ for VLC AVI video player free download. Step 2: Install and launch VLC media player. And then, click on “Open File” under Media menu. Choose your AVI that you want to play. Of course, there are a lot of video players worth recommending here, such as the GOM player, many people use it as a 360 video player, but in fact, it can also easily play AVI videos. For various reasons, this article only describes the two most practical methods of playing AVI video. If they still can't help you successfully play AVI video, you can try to convert AVI video to a more compatible video format such as MP4. 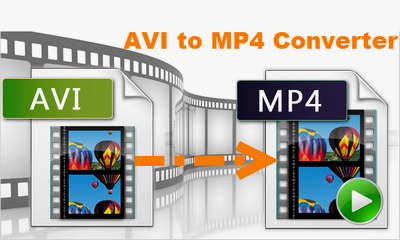 HD Video Converter Factory is not only a practical .avi player but also is a powerful AVI to MP4 converter. 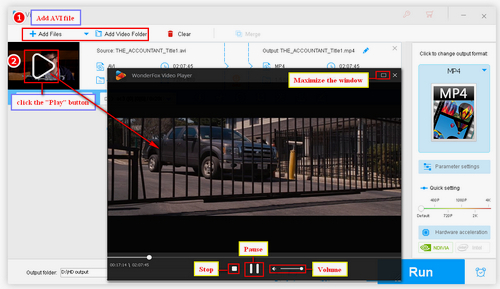 It can help you convert any AVI video to MP4, WMV, MKV and more video formats in only 3 steps. Download it to have a try! How to Resolve HandBrake Video to AVI and DVD to AVI Problem Effortlessly How to Convert WLMP to MP4, AVI, MOV and Other Formats Easily? How Do We Convert MSWMM to MP4, AVI, WMV, MP3, MOV?